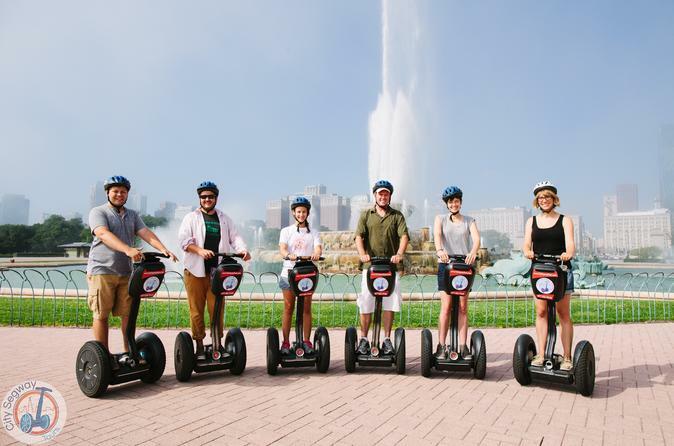 See all the sights of Chicago at your own pace! 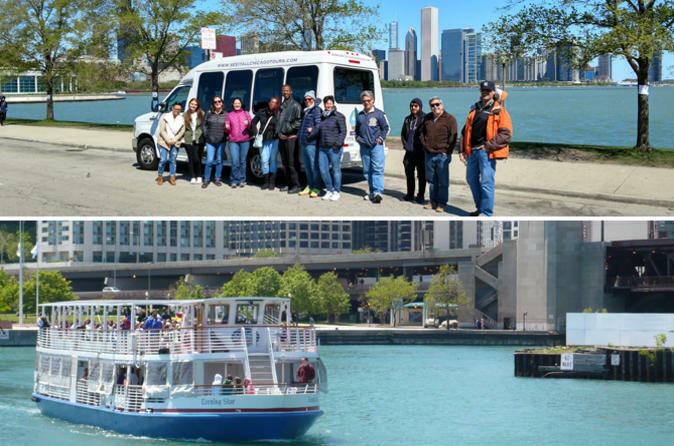 On a Chicago City Hop-on Hop-off Tour you can get off the bus at any scheduled stop to visit Chicago's most popular attractions, then pick up the tour where you left off or get on at any other regular stop on the route. 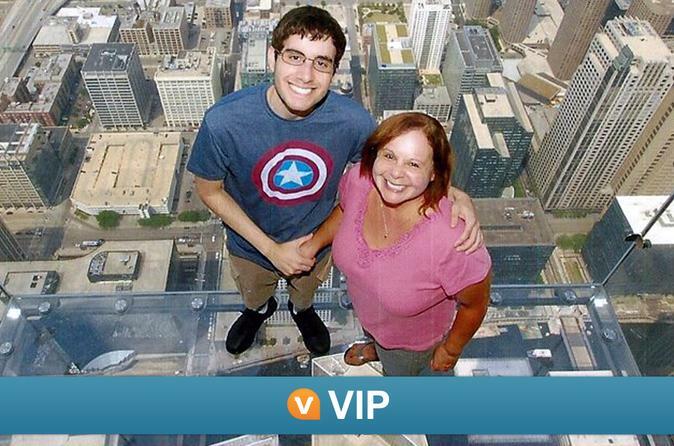 For individuals and families, this is the best way to see the sites! 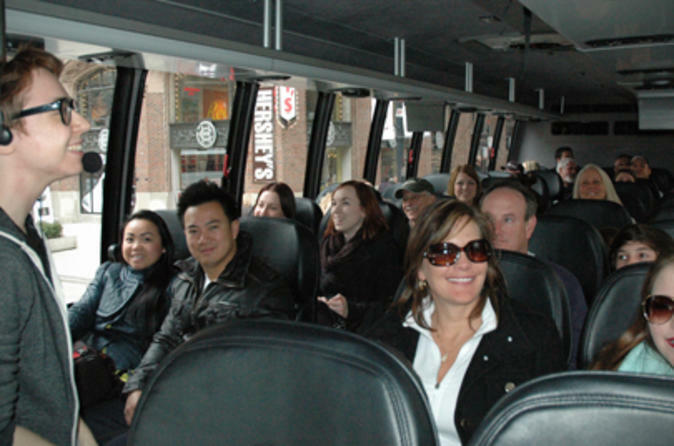 The tour includes the signature route which runs year round, while the seasonal neighborhoods routes and night tour operate May - September only. See itinerary below for specific stops. Some of the world’s most notorious criminals, mobsters and gangsters bamboozled their way through Chicago. 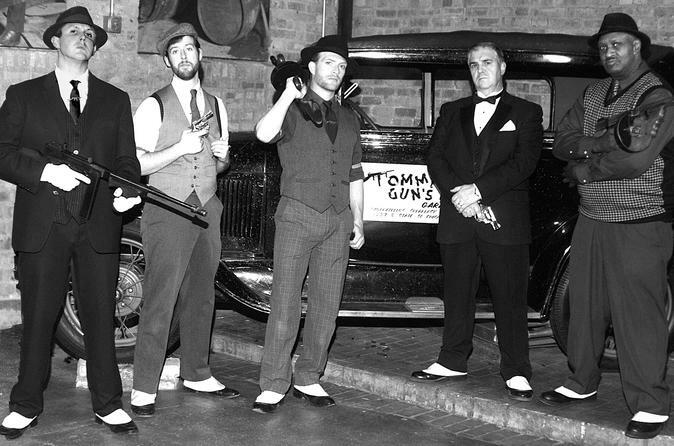 On this Chicago crime tour, escape into the city’s criminal underworld as you investigate stories about Al Capone, The Untouchables, the Chicago Mob and more. 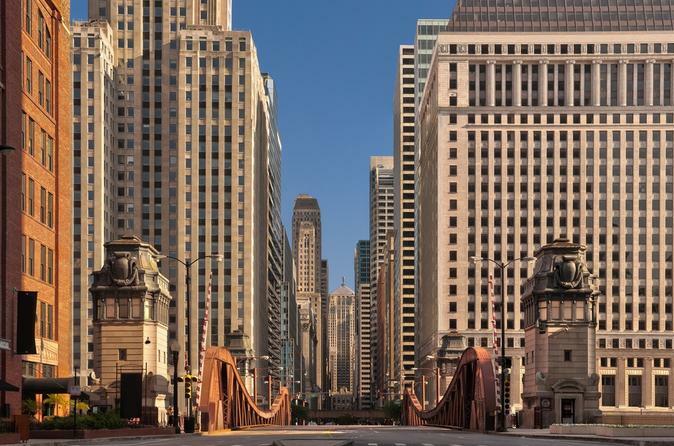 From a luxury coach, see the sites of storied crime scenes including Biograph Theatre, Holy Name Cathedral, Clark Street Bridge and the St Valentine's Day Massacre, one of Chicago's most notorious murders. Snap photos of the historic criminal courthouse, and hop off the coach to walk the path that Chicago gangsters John Dillinger and Hymie Weiss followed just before their deaths. 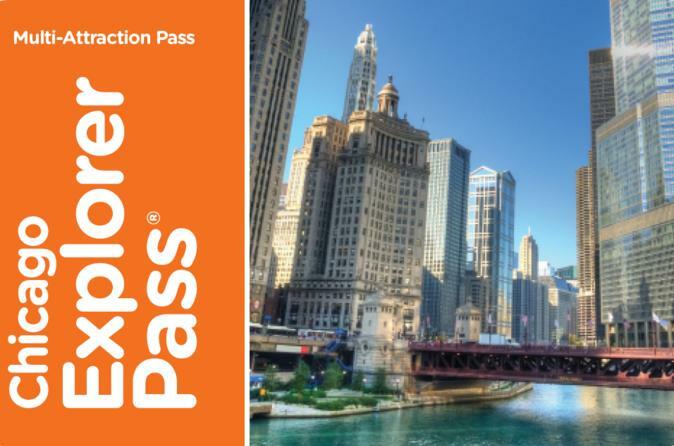 Chicago CityPASS is the best deal in the Windy City, giving you discounted admission to five of the city's premier attractions. 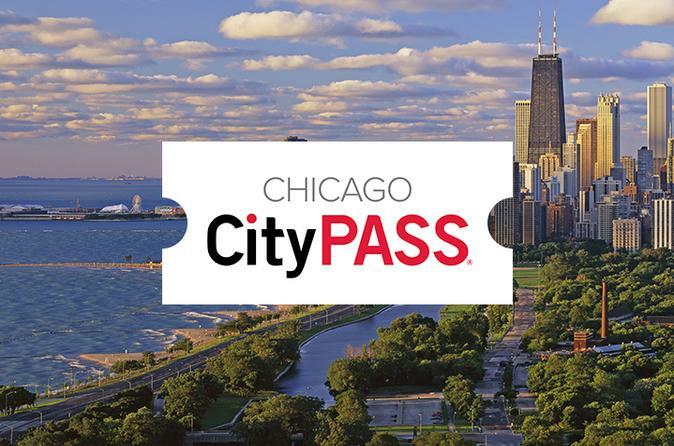 The Chicago CityPASS ensures you'll get the most out of your vacation - yet it is so compact it will fit into your back pocket. 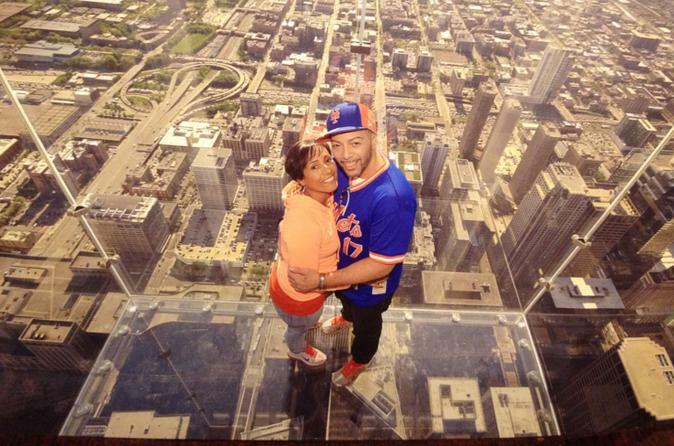 It's all you need to see the best of Chicago! 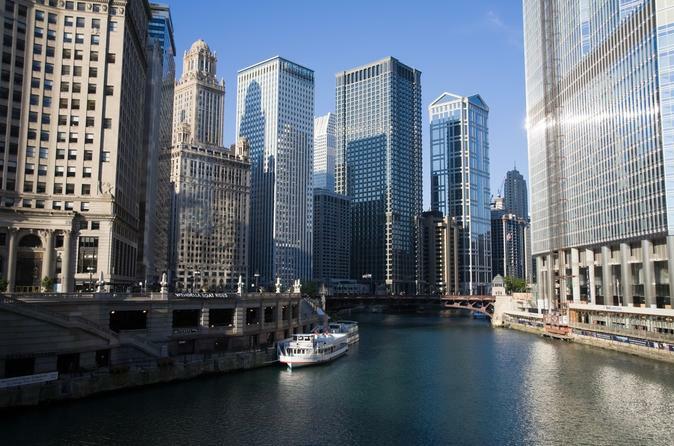 Chicago is renowned for its stunning and original architecture, and the most relaxing way to see it is on a cruise on the Chicago River! 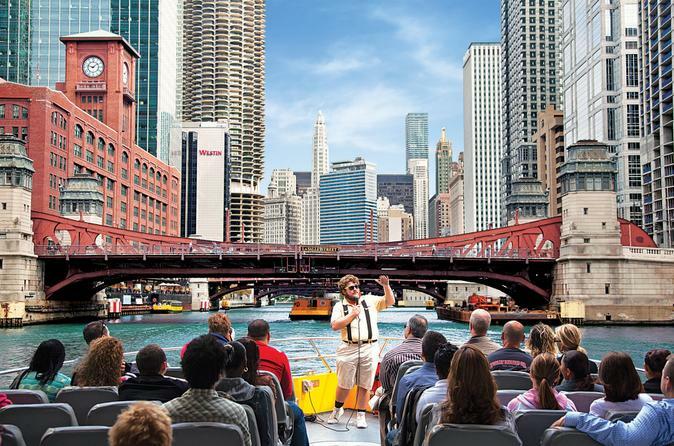 You'll learn all about Chicago's history and landmarks before the tour's grand finale, a thrilling speedboat ride on Lake Michigan. 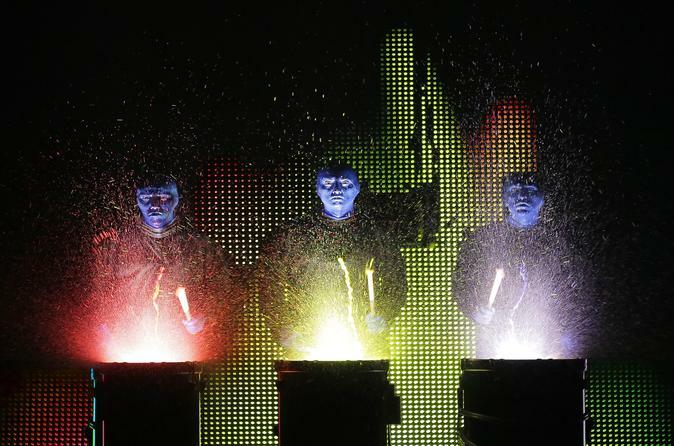 See the Blue Man Group, one of Chicago's longest running shows, at the Briar Street Theater in downtown Chicago. The phenomenon that has visited cities around the globe is integrating new technology into their shows with their 'GiPad,' a giant tablet. 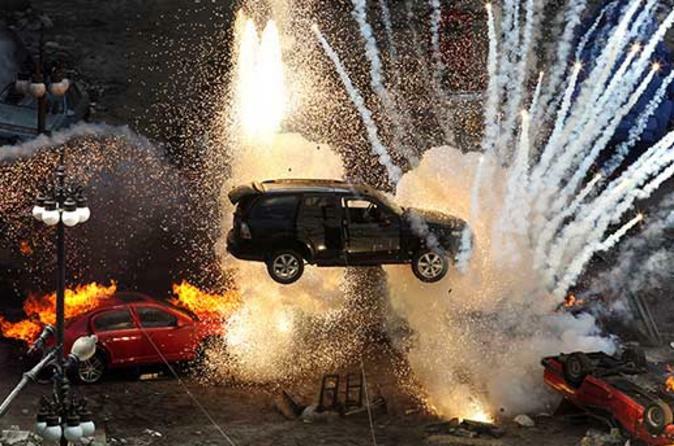 This family friendly show combines the traditional 'Blue Man' antics with 21st-century technology for an amazing visual experience. 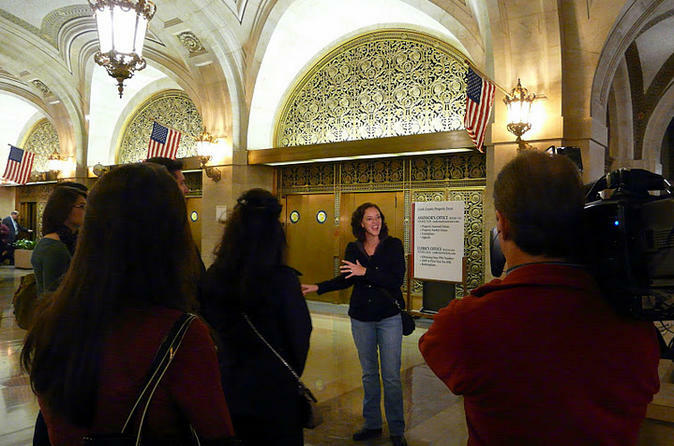 Get an in-depth look at Chicago Loop architecture on a walking tour that takes you inside landmark buildings in the design-rich city. 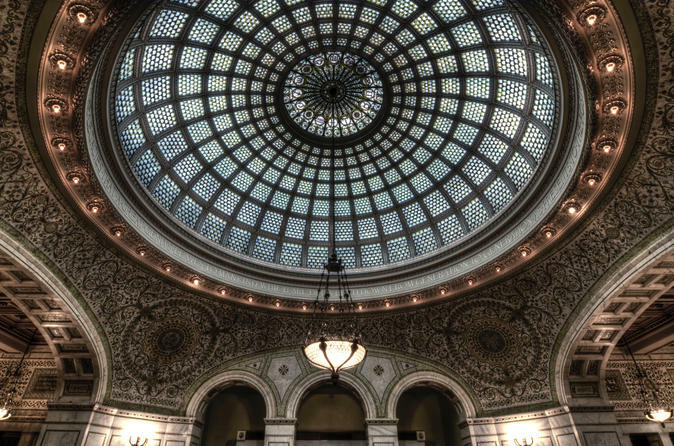 Appreciate the interiors of the Marshall Fields Building, Chase Tower, Chicago Cultural Center and more, plus see public art by Chagall and Picasso. 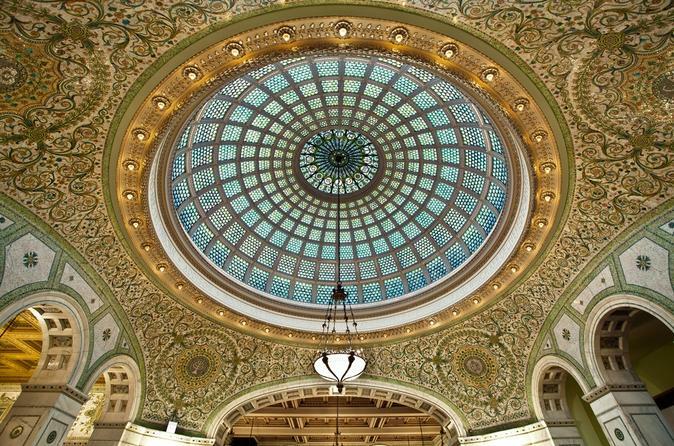 Stroll through elegant lobbies, under glittering domes and into the sprawling network of Chicago Pedway tunnels. Your expert guide shares insights about the city’s diverse architectural styles and history, bringing the details of the Windy City into vivid focus. 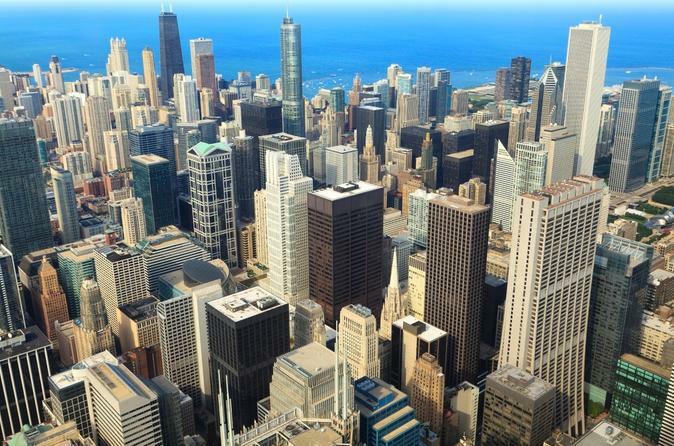 The best views of Chicago can be yours at 360 Chicago (John Hancock Observatory)! Perched 94 stories above the Windy City, the 360 Chicago provides commanding views of Lake Michigan and Chicago’s towering skyscrapers, including Willis (Sears) Tower. 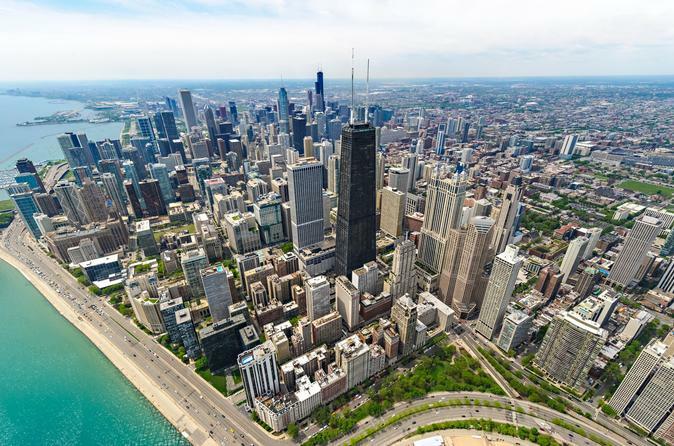 Located in the heart of downtown on Michigan Avenue, the observatory is steps away from other top Chicago attractions, and with inclusions like panoramic touch-screens and interactive educational kiosks, it will be the high point (literally) of your Chicago trip! With mobile tickets, simply scan your phone for direct entry into 360 Chicago. 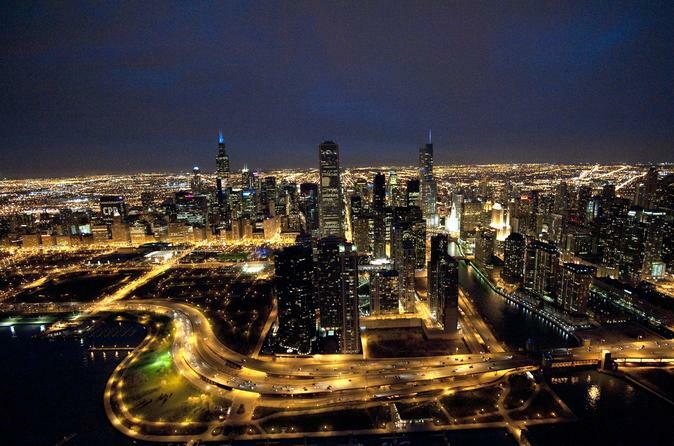 If you want to extend your tour to day and night and observe Chicago at both times of day, upgrade to the Sun & Stars option, good for two visits. 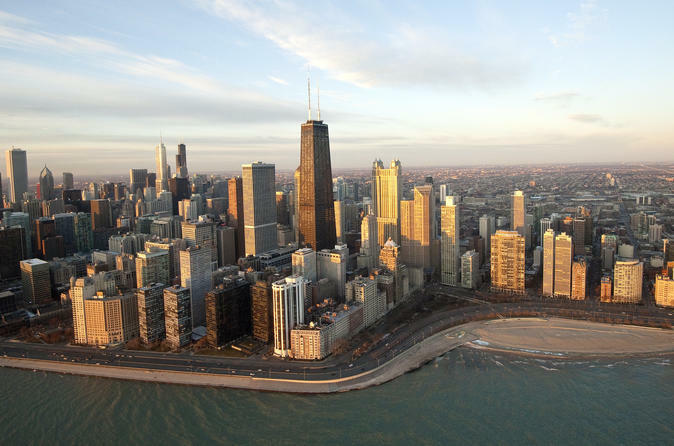 The lakeside metropolis of Chicago is famous for its striking skyscrapers, world-class museums and colorful political history. 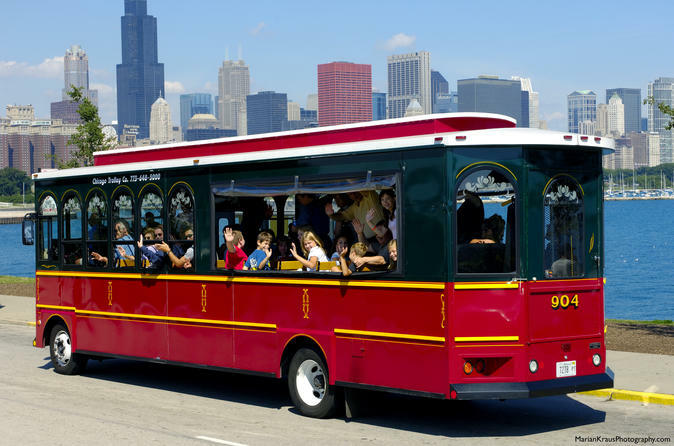 Explore the Windy City at your own pace during a hop-on hop-off bus tour with 14 stops strategically located near the city’s top attractions. 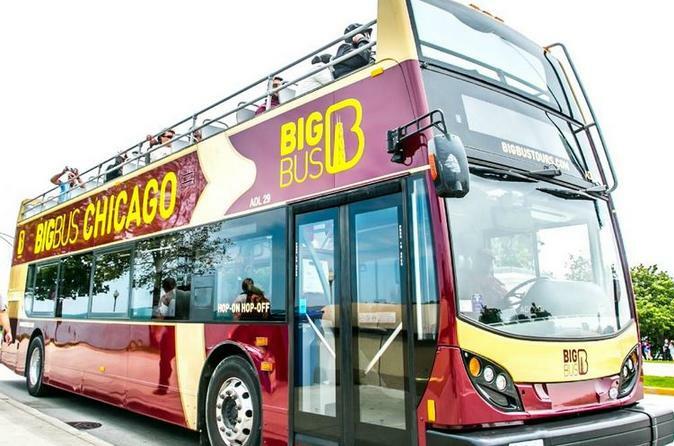 Hop off along the Magnificent Mile to shop, see the great city at heart-stopping heights from Willis Tower’s Skydeck or '360 Chicago' at the John Hancock Center, visit the Art Institute or Shedd Aquarium, or snap a selfie in front of the shiny steel bean in Millennium Park. Live commentary on board the bus is provided. 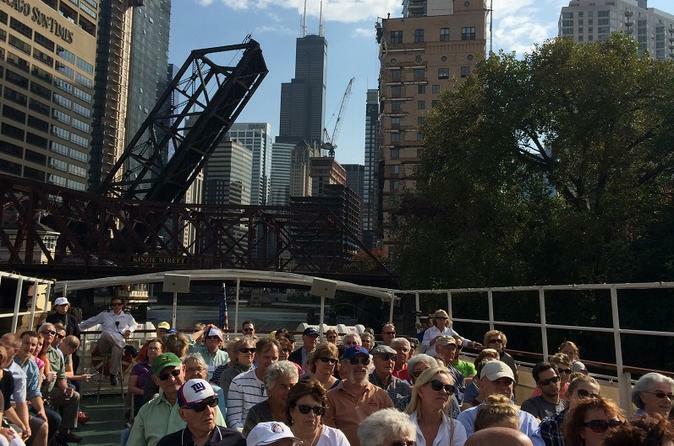 Discover Chicago from both land and water on this scenic half-day tour. 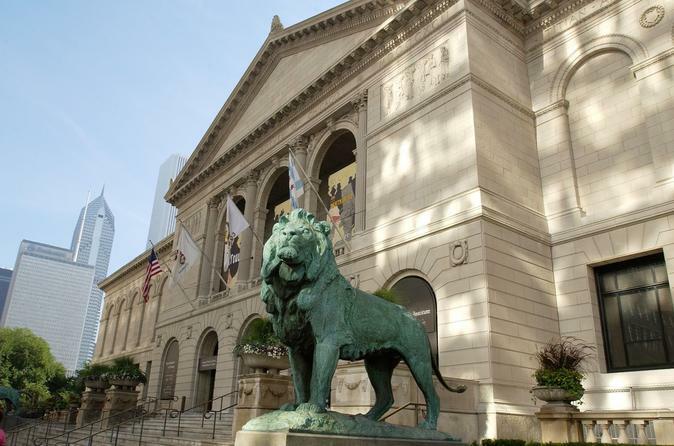 Take a narrated coach tour through the city’s South Side and see highlights including Grant Park, the Loop, the Shedd Aquarium and exclusive shopping areas and neighborhoods. 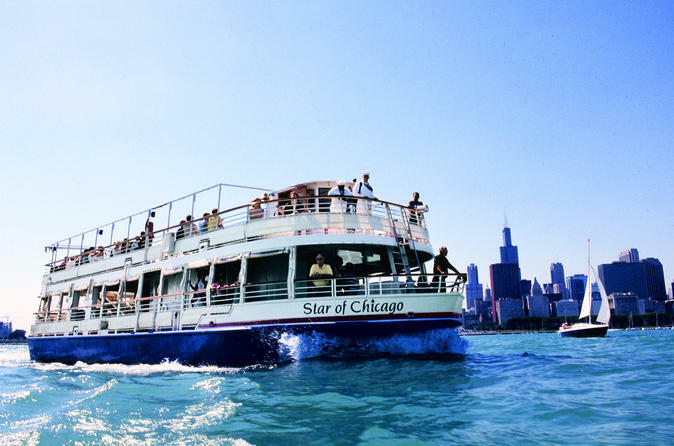 Then, experience Chicago from the water! 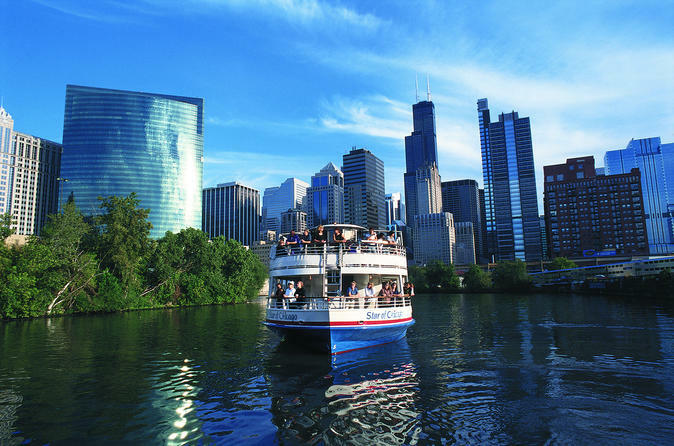 Cruise along the Chicago River in a beautiful streamliner yacht and admire views of the stunning city skyline. 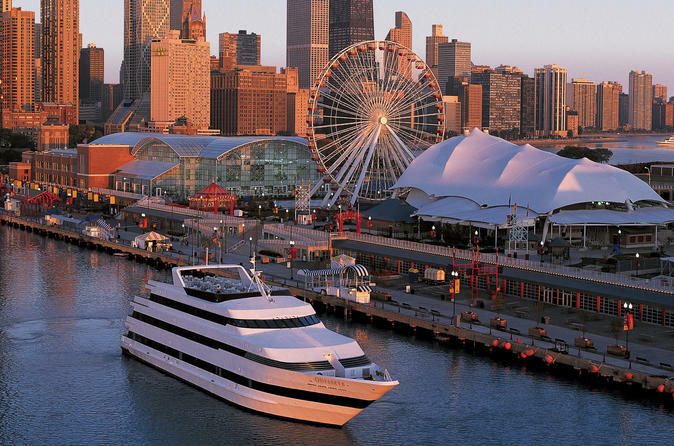 Celebrate a night out in Chicago with dinner, dancing and sightseeing aboard a three-hour luxury cruise on Lake Michigan. 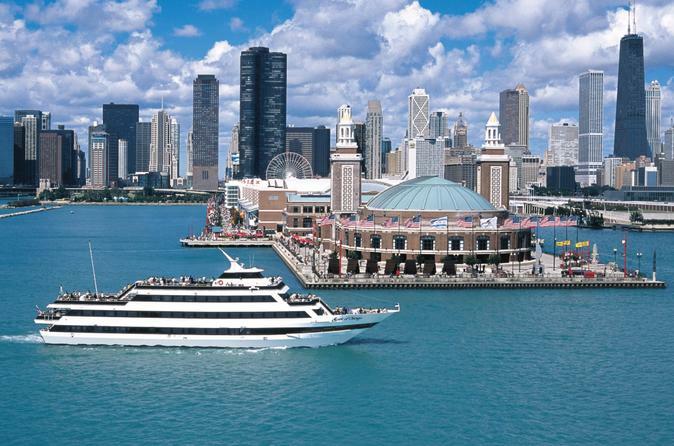 Glimpse top Chicago attractions like Navy Pier, Soldier Field and more while you dine on a lavish, all-you-can-eat buffet! See spectacular views of the Chicago skyline while being entertained by a singing ship staff and a live DJ spinning your favorite songs. Explore Chicago by following the heated tunnels, walkways and passages that connect the city’s famous landmarks and buildings. 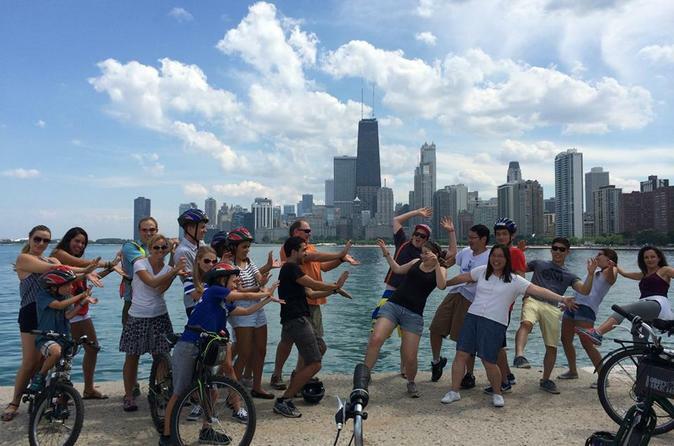 Your comedic guide takes you on an interesting, informative and humorous walk while highlighting Chicago’s well-known and lesser-known landmarks from a different perspective. 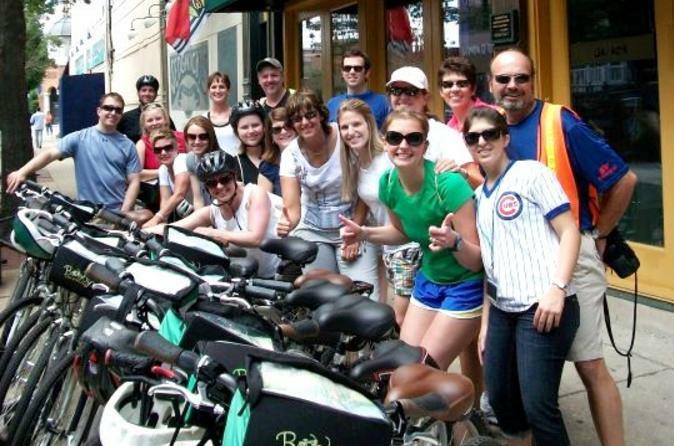 Taste the flavors of Chicago, both edible and cultural, on a bike tour through the city. 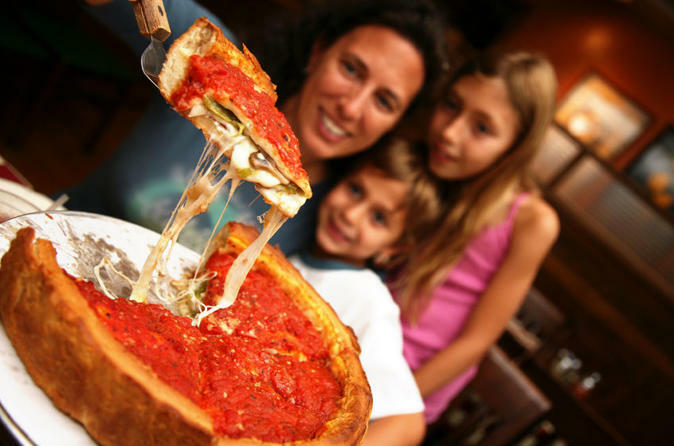 Sample four of Chicago’s favorite foods and drinks –pizza, cupcakes, hot dogs and beer – and experience the city as you make your way through the neighborhoods of Wrigleyville, the Gold Coast, Old Town, Lakeview and Lincoln Park with a local guide. 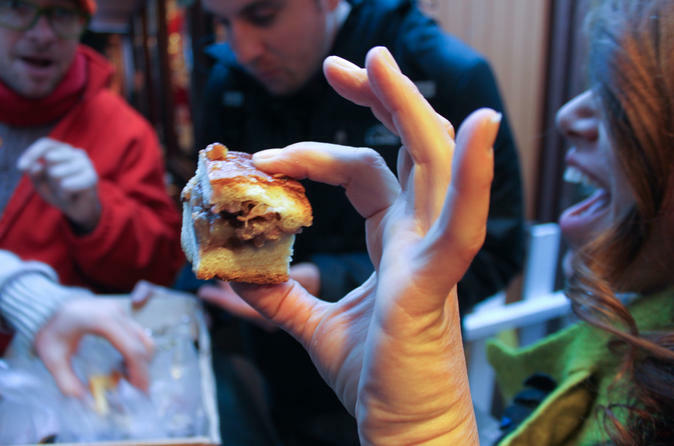 Sample your way through Chicago’s most iconic foods on this 2.5 hour walking tour of the Loop. 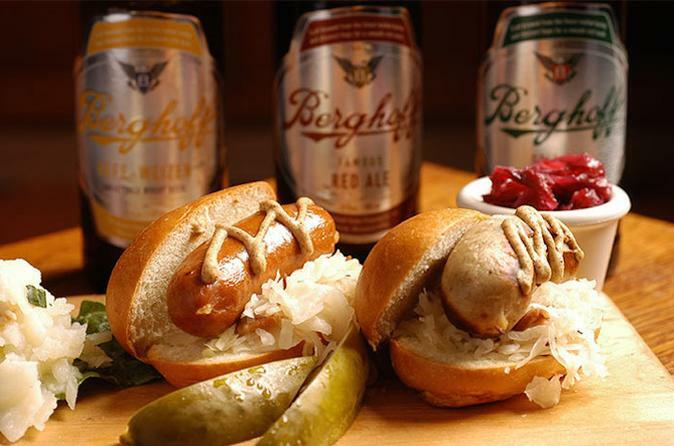 Taste Chicago-style hot dogs, deep dish pizza, the original brownie, and locally crafted beer as you skip the waits at some of Chicago's most popular restaurants. 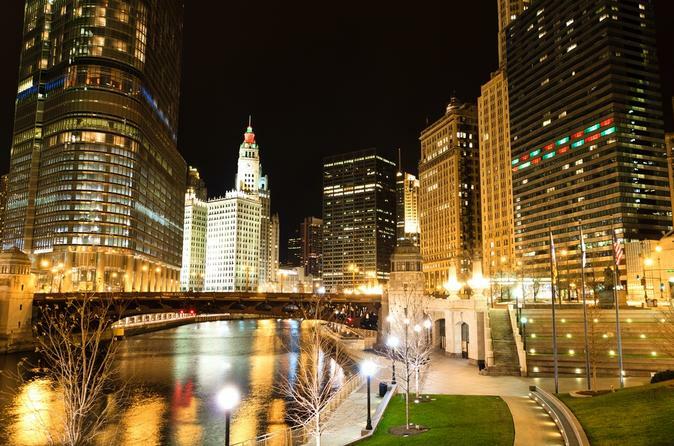 Along the way, experience Millennium Park and its world-famous Bean, downtown Chicago's historic architecture and scintillating skyline, the Palmer House Hotel, and other surprises. 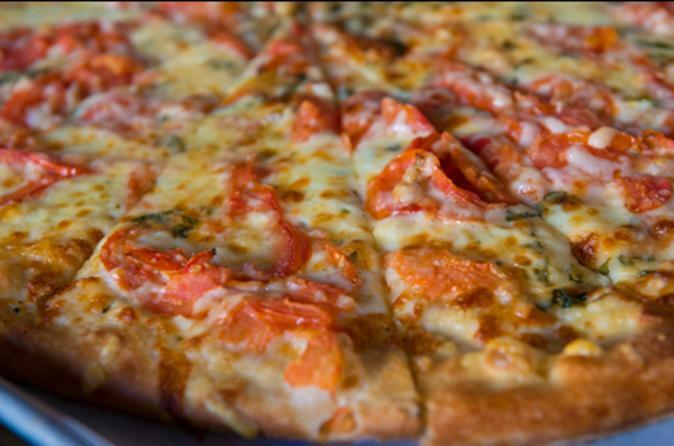 By the end of the tour, your head will be full of fascinating knowledge and your stomach will be full of delicious food! 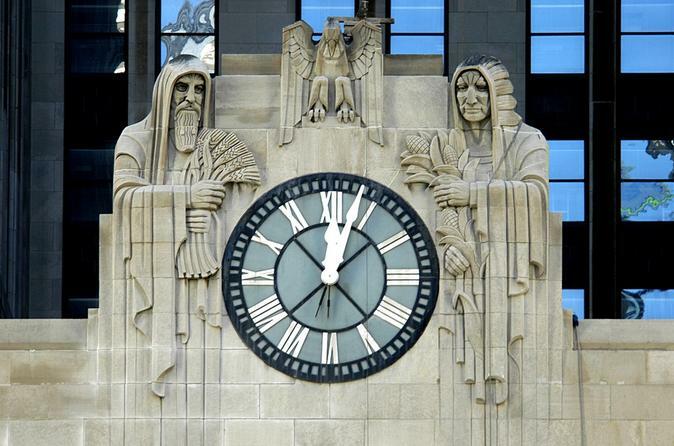 Perhaps Chicago's most identifiable claim to fame resides in its architecture. The prototype of the modern industrial metropolis arose from the charred landscape left by the Great Fire of 1871. 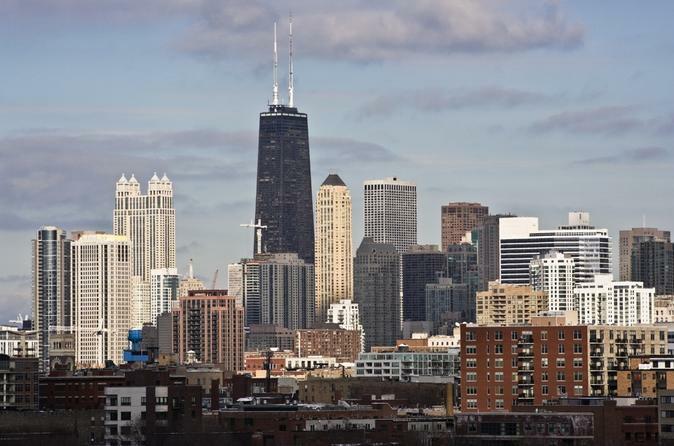 Many of Chicago's surviving buildings are the forefathers of the great modern skyscrapers and on this walking tour you will discover the historic beginnings of the Chicago School of Architecture and the earliest skyscrapers, built between the 1870s and the 1930s. 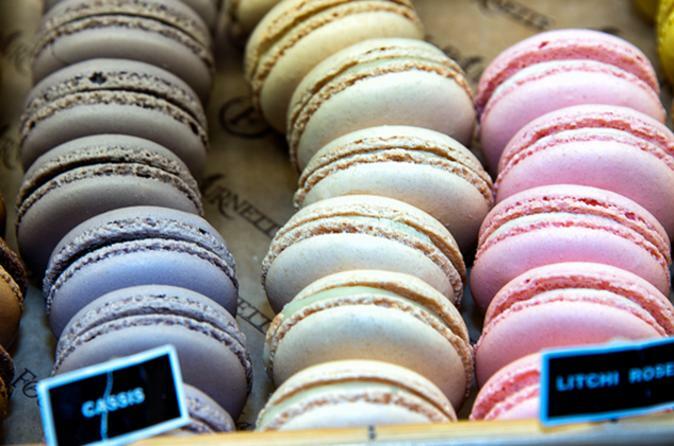 Let your local guide lead you through the streets of Wicker Park and Bucktown as you search for authentic and local cuisine at six different cafes and restaurants. 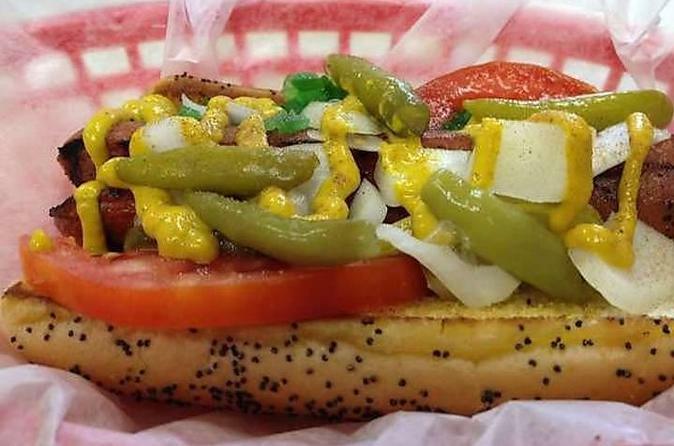 You’ll taste the foods that have made Chicago famous, such as the classic Italian beef, as you tour a local brewpub, pastry shop and more! 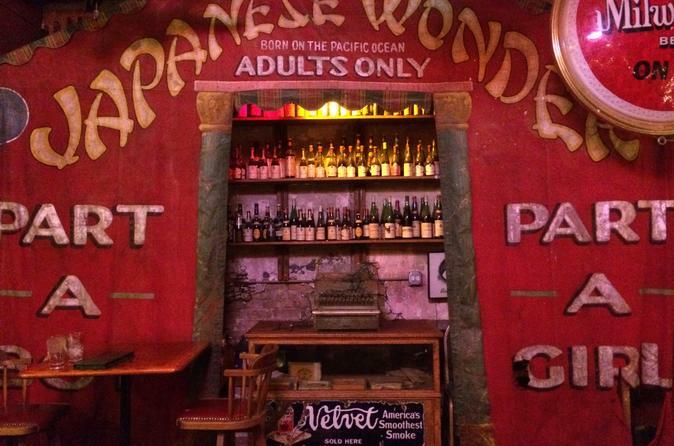 All tastings are included and the small-group atmosphere with maximum 16 people will ensure a more personal experience.